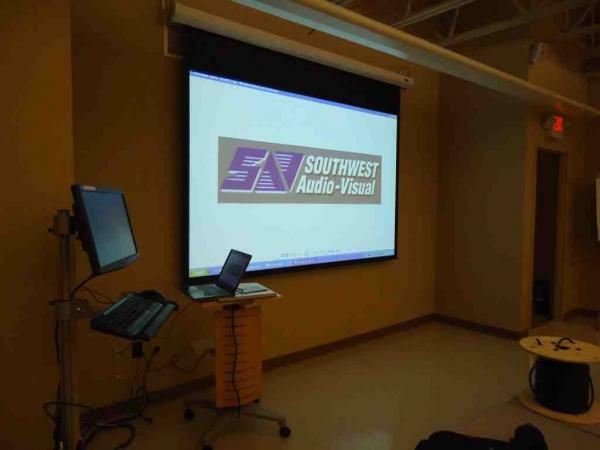 We recently installed Media Technology equipment in several classrooms for a St Louis area School of Psychology. 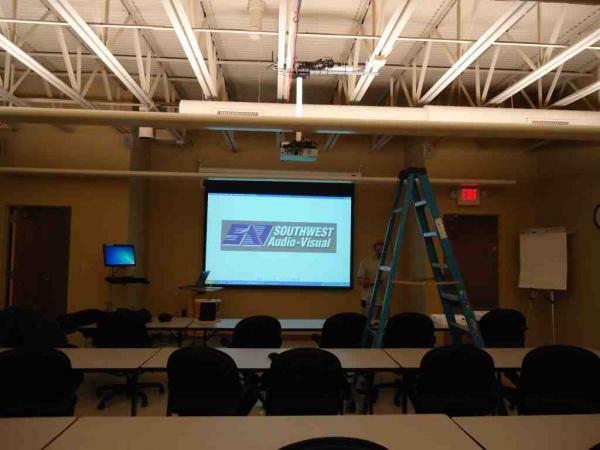 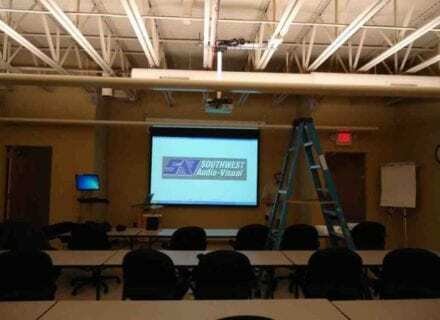 Challenges that were met on this project included mounting the ceiling hung projector on an exposed truss ceiling and at a height that would allow it to shoot below the suspended indirect light fixtures, and the customer’s desire to have a clean and uncluttered appearance to the technology equipment. Notice the unique style of the two instructor’s podiums that hold the the desktop and laptop PCs. 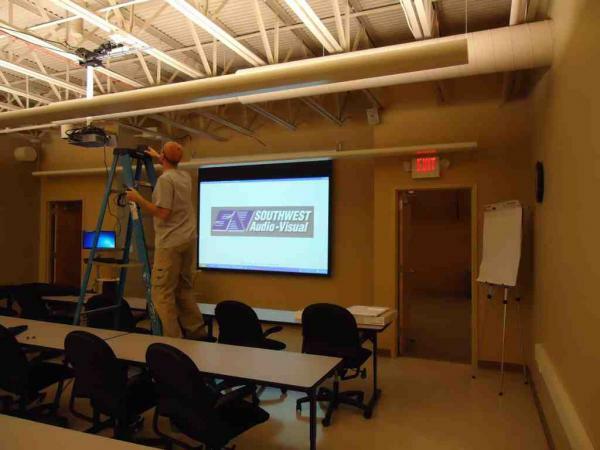 Either can be quickly wheeled out of the way when one or the other is not in use.